A special deer hunt will take place December 24, 2017 – January 1, 2018. Hikers may wish to avoid these Door County Land Trust nature preserves open to this special hunting season: Three Springs Nature Preserve, Heins Creek Nature Preserve, Kangaroo Lake Nature Preserve, Lautenbach Woods Nature Preserve, Legacy Nature Preserve at Clay Banks, and Walt’s Woods Natural Area. – Dress dogs in bright colored clothing too! 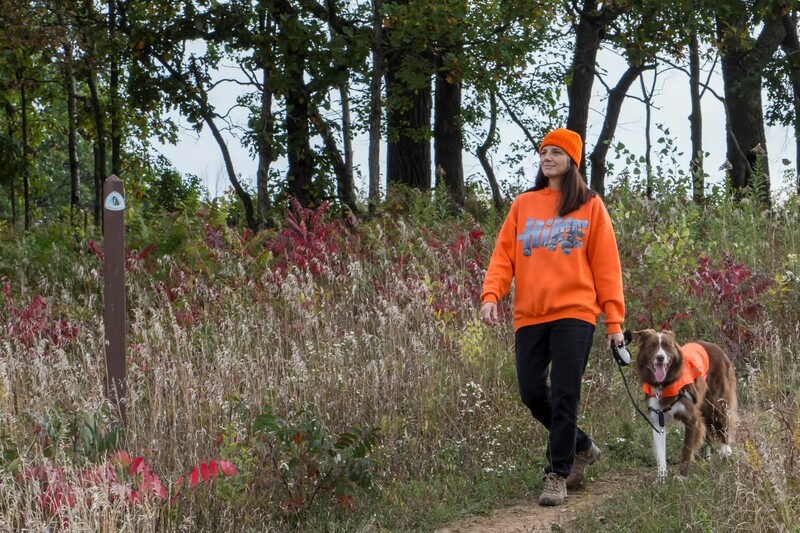 Many Door County Land Trust nature preserves are open to hunting, but hunters usually avoid trail areas. For the safest hiking, try the Ephraim Preserve at Anderson Pond.